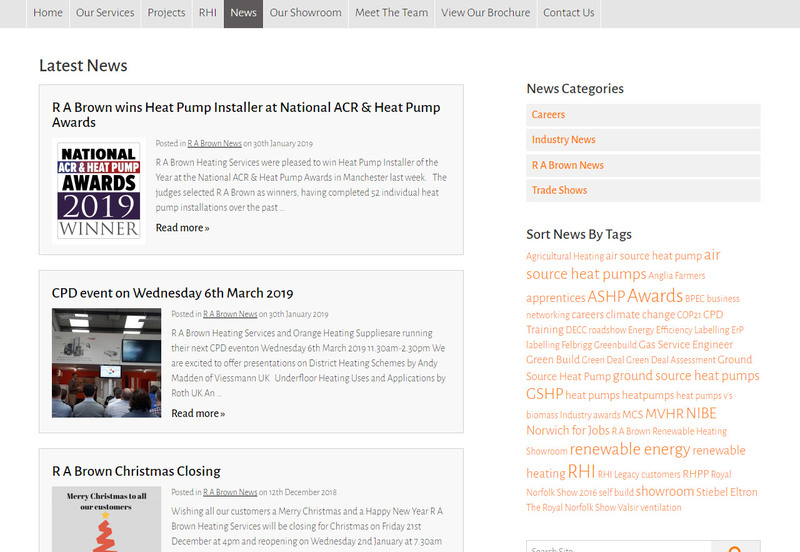 R A Brown Heating Services specialise in installing the latest renewable energy heating systems. 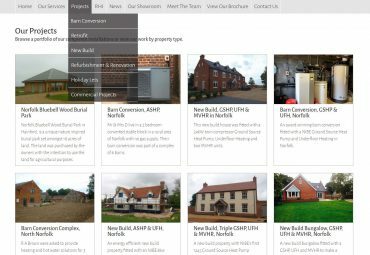 They wanted a website that acted as a glossy brochure for their business, with information presented in an attractive way for non-technical customers, as well as incorporating detailed technical material for self-build customers and project managers. Responsive design was a must – the site needed to perform well on mobile phones and tablet devices as well as desktop computers. 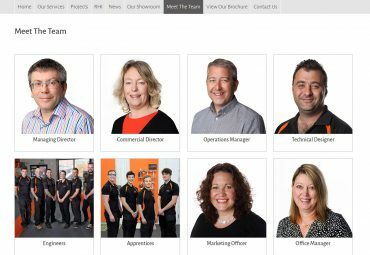 The client wanted to be able to manage and update the website content themselves – including staff profile pages, case studies & testimonials, latest news and specialist SEO landing pages – requiring multiple WordPress custom post types to keep the different types of content separately sorted and managed. 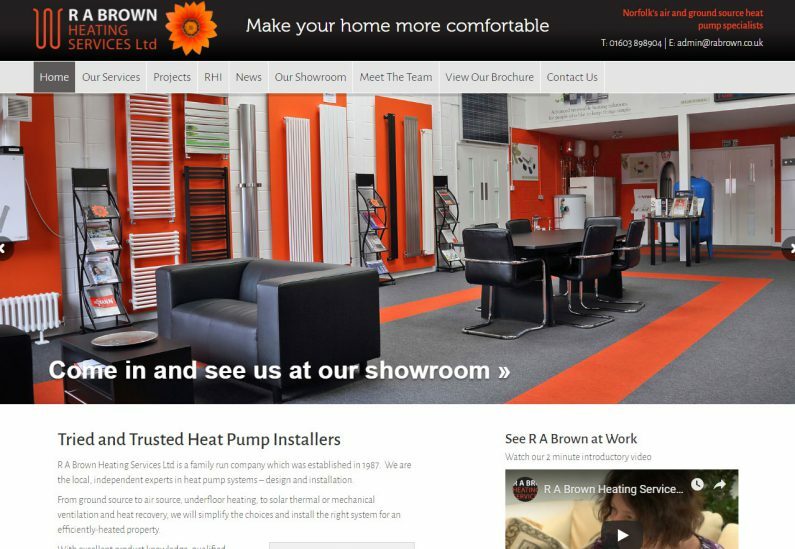 R A Brown have a site that converts well, with prospects getting in touch from the website pages. The site is easy for their staff to manage so content is regularly updated, keeping the look of the site fresh. Amanda sets about a project in a very orderly way, scheduling everything in and agreeing a date when you want to go live. She goes through the pros and cons of different options clearly. She provides a useful ‘handover pack’ when the job’s finished. Amanda also supports with how to do WordPress updates yourself. We get constant positive feedback on how good our new website is.